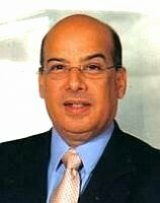 Home » Editorial » CARIBBEAN VIEW: Petro Caribe: Are Caribbean Countries Prepared for the Worst? CARIBBEAN VIEW: Petro Caribe: Are Caribbean Countries Prepared for the Worst? Caribbean governments that are members of the Petro Caribe Agreement with Venezuela would be prudent by beginning to adjust their budgets to take account of the loss of benefits now derived from the oil arrangement. This is especially important for the countries of the Eastern Caribbean that appear to have made little provision for the possibility that the arrangements with Venezuela could end abruptly. Venezuela’s economic conditions make it tough for President Nicolás Maduro to continue the largesse of Petro Caribe started by his predecessor Hugo Chávez. Inflation is now at 56 per cent; the government’s budget deficit is almost 50 per cent; the rating agencies, Moody’s and Standard & Poor’s, have downgraded Venezuelan bonds to junk status; and the bolivar fuerte (the “strong bolivar” so re-named by Chávez) has weakened steeply against the U.S. dollar -- on the black market its value dropped from roughly 8 to 1 a year ago to 87 to 1 now; additionally, while in the Chávez years poverty declined and access to health care increased, today there are real food shortages across the country -– the food shortages have a worse effect on the poor who, unlike the better-off, cannot afford to pay to circumvent normal food distribution chains. The declining value of the Venezuelan bolivar and the foreign currency restrictions that the government has imposed have also angered the Venezuelan diaspora who find it difficult to get US dollars out of the country. This led to a demonstration by disgruntled Venezuelans outside the Embassy in Barbados on February 17 when charges of human rights violations by the Maduro government were also made. Venezuela also has debt obligations it must service. For example, reports indicate that the government and the state-owned oil company, Petroleos de Venezuela, S.A. (PDVSA), signed loan agreements with China amounting to US$49.5 billion for the period 2007-2013. Of that sum only US$20 billion - or less than half - has been repaid in oil supplies. There are 17 beneficiary members of PetroCaribe of which 12 are Caribbean Community (CARICOM) countries including The Bahamas, Guyana, Haiti, Jamaica and Suriname. But the most vulnerable are the smaller territories Antigua and Barbuda, Belize, Dominica, Grenada, St Lucia, St Kitts-Nevis, and St Vincent and the Grenadines. It should be noted that two other CARICOM countries -- Barbados and Trinidad and Tobago -- are not exposed to change in the Petro Caribe Agreement since neither country joined the arrangement. Under Petro Caribe beneficiary there is no reduction in the price of oil; instead Venezuela converts a portion of the cost into a low-cost loan. The amount of the debt owed to Venezuela by many Caribbean countries is shrouded in secrecy because the process of dealing with Petro Caribe has not been transparent. A notable exception is Jamaica where, in January, the government publicly put its Petro Caribe debt at US$2.5 billion. For each of the other Caribbean countries, the debt would amount to hundreds of millions of dollars that, in their current situation of very high debt and large fiscal deficits, they would find almost impossible to repay. The present turmoil in Venezuela and the clashes in the streets between groups protesting against the government and security forces have resulted in four deaths so far and increased alarm about the stability of the country and its prospects for economic growth. CARICOM as a whole was right to call on all parties in the Venezuelan confrontation “to take the necessary steps to refrain from any further action that would hinder a peaceful resolution of the differences and a return to peace and calm in the country”. The beneficiary Caribbean governments have much for which to thank Hugo Chávez and Nicolás Maduro, but they would be imprudent if they did not now begin to make adjustments to their budgets for a transition from dependence on Petro Caribe to buying oil on the international market. They would be sensible to approach the Caribbean Development Bank for technical advice on how to alter their financial circumstances to make the transition and to propose ways in which such a transition could be accomplished with the least amount of inevitable pain; pain which would be more desirable than calamity.